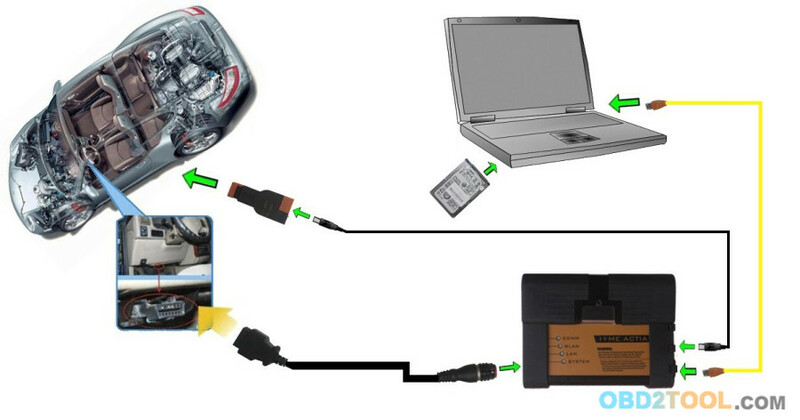 1.Interface A2 – OBD diagnostic supporting MOST, D-CAN and K-CAN protocols. 2.Interface B – diagnostic via MOST bus, and have connection to A-interface via USB connection. 3.Interface C – 20-pin cable for old models. 2.To protect the MOST connector, the BMW ICOM B for vehicles with optical MOST access will be equipped with a soft cover made of rubber instead of the former plastic cap.